Welcome to the online form (r)evolution! Sign-up and create forms within a matter of minutes. 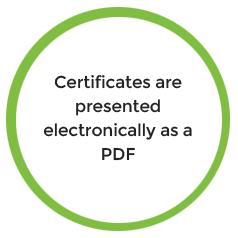 We use the most up-to-date hardware and software to secure your data. Pay only for what you use - no expensive contracts needed. Save your IT staff the hassle of installing and updating your forms software. Leave it to FormEvo Legal Software to handle all form and software updates for you. It is all done in the Cloud. Pay as You Go or annual licence fee, the choice is yours. PAYG is charged as a disbursement (so free to your firm), annual licence fee for our legal software will start at 50% of the fee charged by your current forms provider. Show us the last invoice from them and we will slash that cost in half. (Law Society or third party fees excluded). Share forms effortlessly with your clients and others (for comments only and/ or editing of the actual form) via our cloud-based legal software, enter pop-up notes for internal use and get emailed reminders of critical deadlines. FormEvo legal software is brought to you by the same people who brought SDLT.co.uk to the legal marketplace. We have used this expertise to integrate with Companies House for an easy- to-use solution for filing mortgage documents online as an example of what we can do for you. There are many other forms and government departments yet to allow e-Submissions, and we shall be there for them all. Join the cloud revolution and let FormEvo take care of form maintenance and secure storage of your forms. 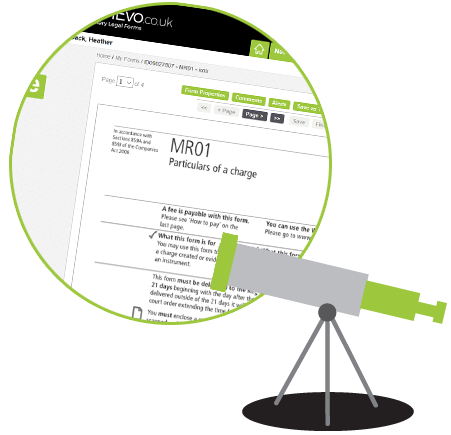 FormEvo legal software requires no installation and support is simplified as our helpdesk can see exactly what you are seeing. FormEvo forms can be charged to your clients as a disbursement making it totally unique and essentially FREE to your firm. This provides your firm with complete costs transparency, allowing true and fair charging for your clients. In addition, you can share forms securely and electronically with 3rd parties via our legal software and get input all within the FormEvo application. Your alternative legal software solution. Companies House eSubmissions helps mitigate your risk and manage your responsibilities. Efficient and effective client care with FormEvo eSubmissions. The leading independent submission system for electronic SDLT forms - over 4.4 million forms have been submitted to HMRC.